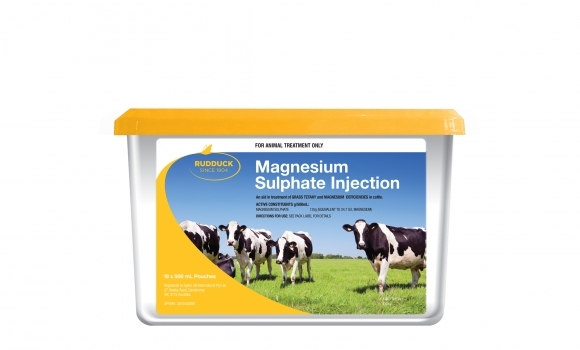 An injection used for the treatment of Magnesium deficiency. If possible warm to body temperature prior to injection. Snap the tip off the plug, ensuring the solution can flow freely and connect the sterile needle provided. Disinfect the injection site and use in skin of the neck or over the ribs. Gently squeeze the bag to inject the contents. Large volumes should be distributed over more than one injection site. If complete recovery does not occur within 3-4 hours repeat injection and seek veterinary advice.